Choose from a variety of sounds that indicate positive/negative behaviors. 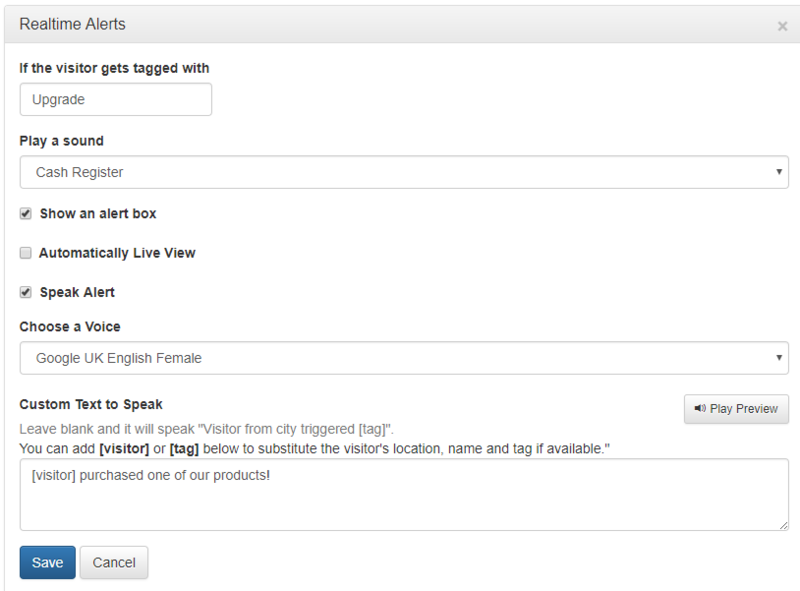 Show an alert box with visitor info and buttons to live view, ask to chat, or filter a visitor in the live visitor table. Automatically live view the visitor. Got a screen mounted on a wall, use this to automatically cycle through watching your visitors. Using text-to-speech and custom voices, speak a custom message for each alert. Alerts are operator specific. You will not see other operator's alerts and they will not see yours.